Love heart sweets with a personalised wrapper. (Each roll contains 18 love heart sweets). 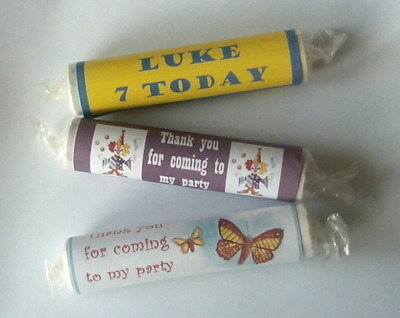 Each wrapper can have one of our designs or your own photo and 2-3 lines of personalisation.